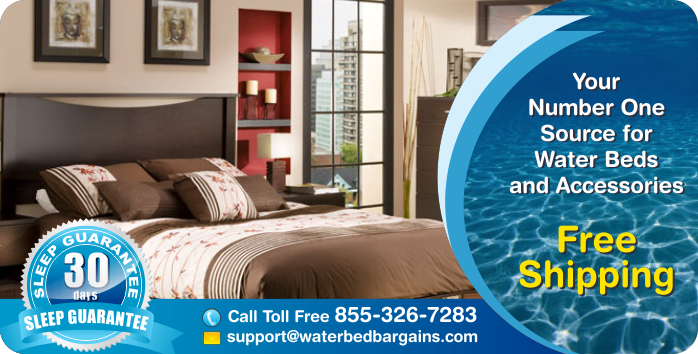 Welcome to Waterbed Bargains.com, the finest online waterbed store. 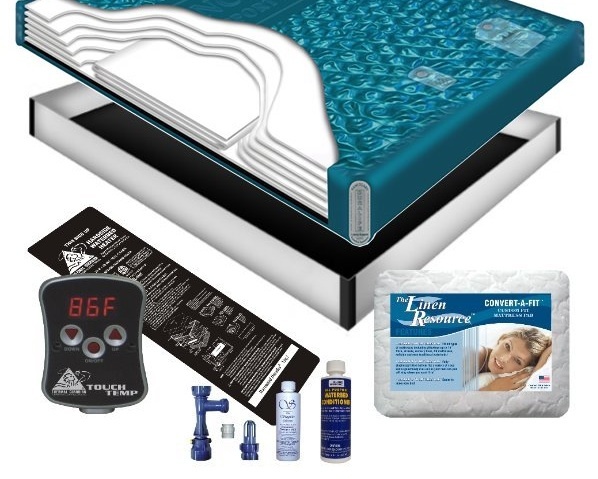 We offer an unsurpassed selection of waterbeds and waterbed accessories. Our list of manufacturer's is always growing. So if you're looking for a specific make of waterbed, then just ask and we can probably get it for you. We work with the leading waterbed mattress manufacturers to bring you the biggest selection at the lowest prices possible. 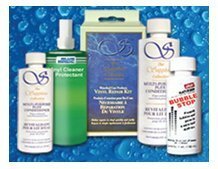 Our waterbeds and accessories are of the best quality and out current and past customers could not be happier. Our softside water bed mattresses are a great investment. Softside waterbed mattresses are made to mimic the look of traditional mattresses, while still providing the great feel of floating on the open water. 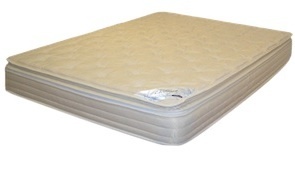 A softside waterbed allows you to use a standard bed frame and bedding with these mattresses. 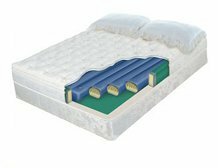 Different types of softside waterbeds range from shallow fill to mid-fill to deep fill softside water beds, depending on how much motion or wave action you prefer during sleep. A hardside water bed mattress is what you typically think of when you imagine a waterbed. It is comprised of a a hard-sided bed frame that keeps the sides of the waterbed from bulging outward. 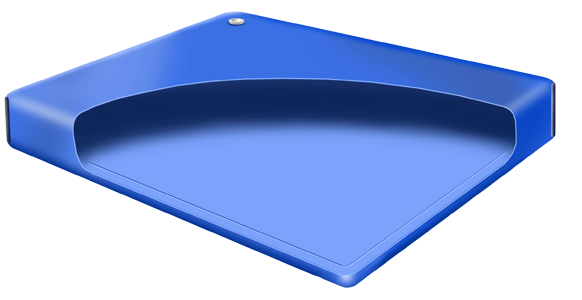 (Hence the name hardside waterbed) The waterbed bladder itself is usually made from flexible yet durable vinyl. 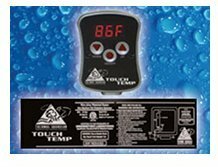 Hardside waterbeds require a heating element underneath the fluid chamber that will keep the water a pleasant and safe temperature. We offer a great selection of hardside waterbeds that are perfect for any size or motion preference. Shop for Super Single, Queen and King size hardside water bed mattresses. 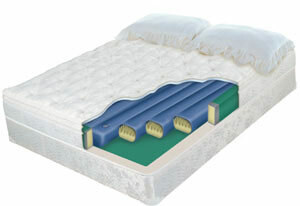 The hardside mattresses we have available can be suited to any type of motion preference. A hardisde waterbed mattress can range from completely waveless, to Semi-Waveless, to 100% Free Flow. 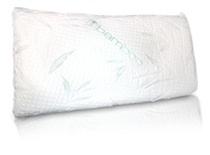 We also carry most of the waterbed necessities to go with your mattress.